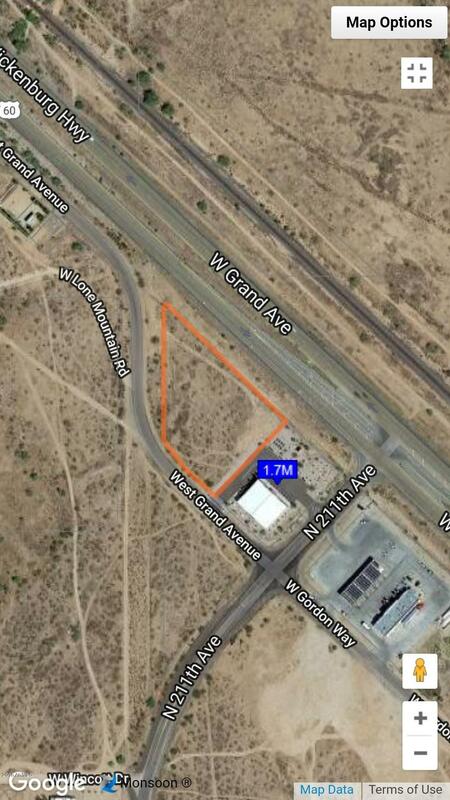 This is the best commercial lot available in Wittmann! Ingress Turn Lane access from Grand Ave to 211th Ave from both directions of the highway. This lot is located right next to Family Dollar with infrastructure already in place, paved road easements from all directions including access from Family Dollar's parking lot! All utilities are in place and right next to property! Fire hydrants have been installed on two different corners of property as well! 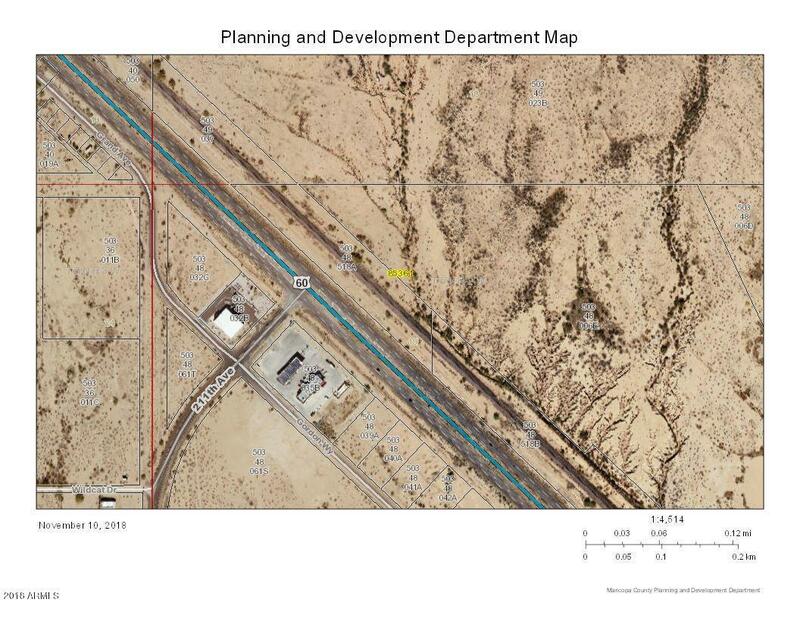 ADOT has already approved highway frontage setbacks for this lot when Family Dollar was built. 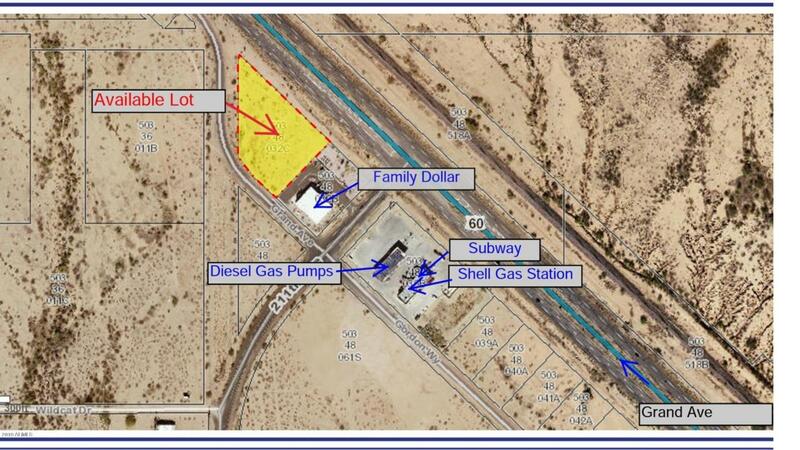 And there is a Subway and Shell Gas Station on the opposite corner of 211th Ave. This is a great opportunity with many options, and ready for a new business!